I'm interested in using this font part of the title-logo of "New World Underground." This is a free wordpress website where we write stories about musicians from bandcamp and other independent artists and we see no money whatsoever from anything posted on our blog. I do, however, guarantee if we make a big enough name for ourselves and we are still using your font in any way, we will work something out as far as reimbursement goes. Keep in mind-we are an extremely young publication and, at least for the foreseeable future, we have no plans in stopping as our goal is not simply monetary gain or notoriety; we are doing this because we are huge fans of independent artists and seek only to contribute to their popularity. Withing the next two days, we will have an article on a "chiptune" artist known as "Slime Girls" and are currently attempting to get in touch with other badcamp musicians for interviews. Gary Cavazzini - New World Underground. 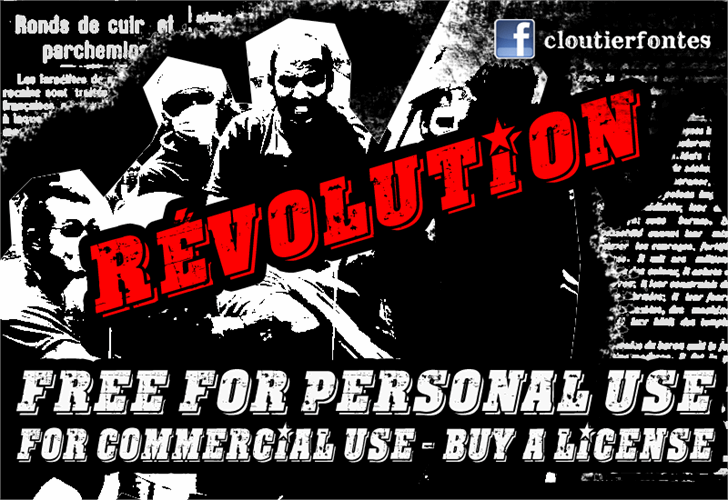 Thank you for your interest in my CF Revolution font. 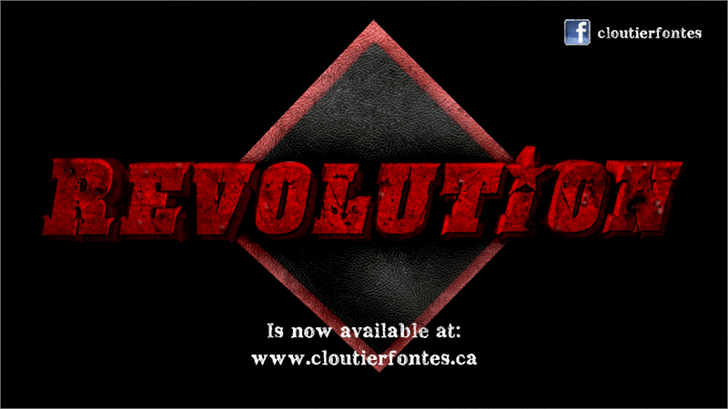 For your project, you can use the font for free, if one day you want to use the font for commercial use, you will just have to buy the commercial version on my website at: www.cloutierfontes.ca.